Rome’s eternal beauty, the lines of its ancient architecture and its warm tones of gold; the Mediterranean Sea’s shades of blue; Nature and its gentle flowers and hypnotic creatures. All these are “magnificent inspirations” that compose that symphony that is Bulgari’s latest High Jewellery collection – a rich and sensual journey of discovery, unveiling the very roots of its creative style. Italian creativity is reknown for being daring, and in the Italian Extravaganza collection, Bulgari captures the joyful, expressive and charismatic Italian lifestyle to its fullest. The Divas’ Dream creations are then powerfully taking us back to that Dolce Vita that contributed to Rome’s immortality in everybody’s heart, with its charm, grace and refinement nostalgically evoking bygone times. A sense of perfect beauty that is also captured by the marble’s colours and the gracious lines of the mosaics at Caracalla’s Baths. 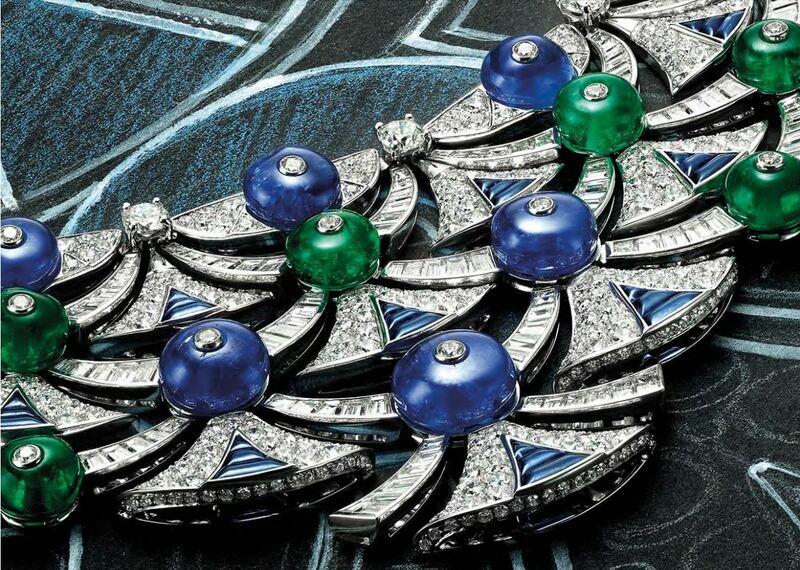 Bulgari’s style is always surprising and the use of colour is remarkable in all its extraordinary high jewellery pieces. Here are then Le Magnifiche Creazioni: precious creations out of time where exceptional gemstones are the main protagonists. A distinctive and immediately recognizable trait of Bulgari jewels is the use of colour blocking, and in the Tesori di Colore collection this reaches a new high. Lively and energetic hues go hand in hand with new tactile and volumetric experiences, originating the most vibrant jewels. Since the founding of the Maison, 130 years ago, Nature has always been an inspirational force for Bulgari. The jewels in the Mediterranean Eden collection decline the play of light and the natural beauty of Nature, embodied in a delicate flower or in an hypnotic snake. The Serpenti collection brings to us a long story of seduction, starting from Queen Cleopatra, seduced by his magnetism. The Serpenti woman is a modern queen, endowed with charming brightness and sensual elegance. The beauty of Nature mirrored in the beauty of flowers. Bulgari has decided to pay homage to the simple and ingenuous beauty of the flower, in the Fiore di Bvlgari collection, that presents jewels of delicate yet fierce design. Bulgari would not be Bulgari without the influence of the Roman Heritage. Inspired by the eternal beauty of Rome, the jewels distinguish themselves for the voluptuous and rounded shapes of its cabochon-cut gems. Forms that recall ancient domes, design elements that create the travertine marble streets’ intersections, or pinky orangy hues that bring to mind the poetry of a Roman sunset. The Parentesi collection is then a reflection of ancient Rome’s architecture. By honouring the past, these jewels look to the future, with a geometric play that make them to be modern Roman works of art.